TCP Connect error 115 Operation in Progress What is the Cause? When calling TCP connect (Non blocking with timeout of 60 seconds) to IP 174.X.X.X is always success . But TCP connect to same server with ip 54.x.x.x is failing (most of the times) with errno 115 measn operation in progress. So, the best guess would be that the TCP 3-way handshake (your connect() call to 54.x.x.x IP address) is taking longer than expected to complete. Since the connect() operation is already in progress, any subsequent operation on the socket is resulting into EINPROGRESS error code. As suggested in the man page, try to use select() or poll() to check if your socket is ready to use (to perform read() or write() calls). You can pin-point what is preventing your TCP handshake to complete by capturing and analyzing the traffic to/from your own machine and 54.x.x.x. The best tool to help you with this is called WireShark. Good luck. Not the answer you're looking for? 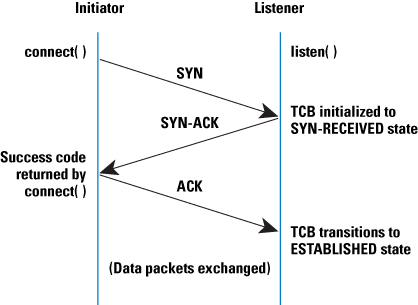 Browse other questions tagged c networking tcp network-programming errno or ask your own question. Why can't I access BoM's FTP server with PHP?